THE COASTAL COLLECTION IS INSPIRED BY THE REPEATING PATTERNS FOUND IN THE 1960'S CINDER BLOCK WALLS SURROUNDING GARDENS AND DECORATING MID-CENTURY APARTMENT BUILDINGS FROM COAST TO COAST. 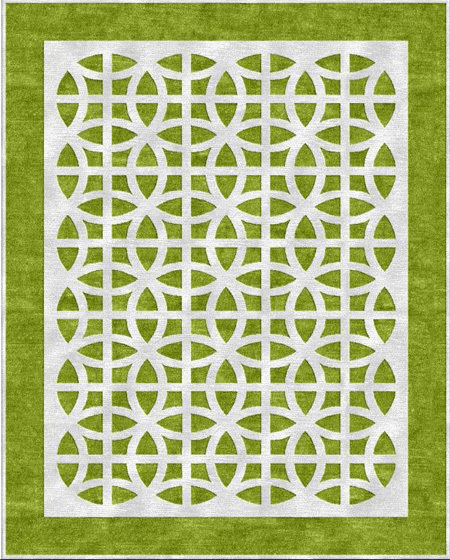 I LOVE THE SIMPLICITY AND FRESHNESS OF THESE GEOMETRIC PATTERNS. I CHOSE BRIGHT COLORS FOR THE WOOL FIELD AND I FIND THE CONTRAST THESE VIBRANT HUES CREATE WITH THE WHITE SILK PATTERNS AND BOARDERS FEEL BOTH CRISP AND CONTEMPORARY. 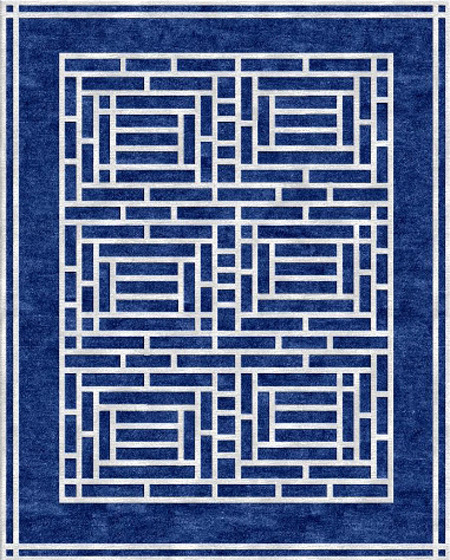 WE ARE OFFERING THE COASTAL COLLECTION IN EITHER THE FLAT HAND KNOTTED WEAVE OR WITH THE SILK IN THE HIGHER CUT PILE.